Woodyfuel is now offering Brash Removal services in North East and Yorkshire. 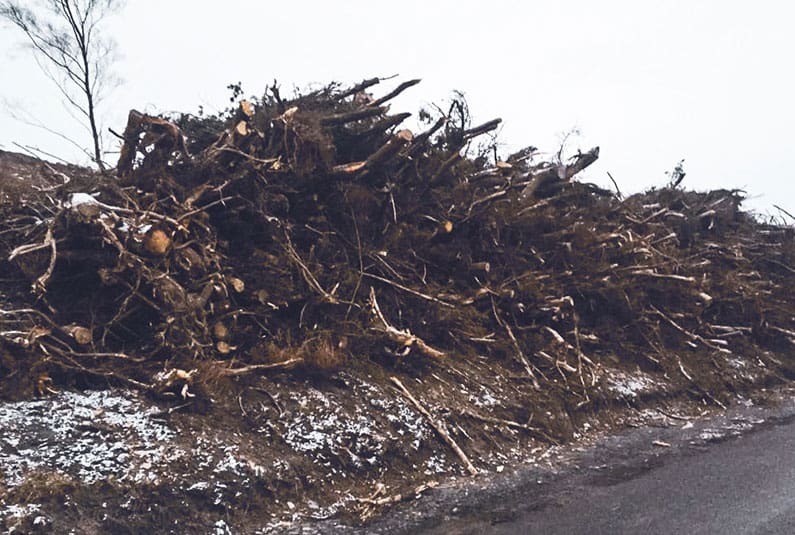 In recent years we have noticed an increased need in clearing brash material following timber harvesting, logging, thinning or clearfelling. Our business mission is to deliver immediate results for those requiring site clearance and brash removal. Years of experience and our extensive knowledge of this industry enables us to complete the job in a timely and professional manner in accordance with Forest Research standards. Brash is the above-ground parts of the tree not generally removed from the site after clear-felling, logging or thinning. It consists of branches, the top parts of trees, needles and small dead trees that cannot be processed during traditional timber processing. Woodyfuel team of professional operators will deliver best results thanks to high-quality and precise machines that can deal with a large amount of brash. Time is money, and we understand that. We provide removal of brash residue within hours. Simply get in touch, and we will be ready to clear any site in no time. We are fully compliant with the Forest Research standards and provide complete paperwork as well as waste data reports within contractual requirements. We also provide additional wood material processing services such as whole-tree and timber chipping among many others. Contact us for more information. At Woodyfuel we work with the highest standards of service in mind as well as safety. Being a Green Energy Supplier, proper brash removal is essential to us. 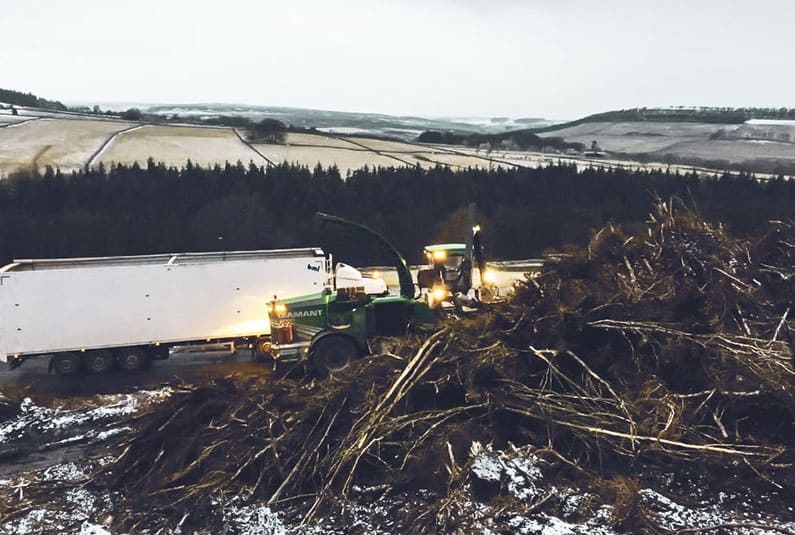 Brash management is not only just of interest to foresters, but also to companies such as ours that are involved in environmental protection and eco-friendly wood fuel energy generation. Our work often reduces the need for supplemented bulldozers, hauling equipment or excavators. We deliver high-quality service on a consistent level utilising year of experience. We can finish the work quickly and professionally while decreasing organisational demands, fuel consumption and emissions, as well as total costs.